- Added: GP2X release into release cycle (not tested, just a direct port). - Added: Screenshots capture in PNG format. - Added: Screenshots displaying on ROM selection screen (.PNG format). - Added: Theming support to menu (.ini file + PNG files). PNG files must be at themes/theme_name/*.png folder. - Added: Default theme (graphics by XiM). - Added: Long ROM filenames scrolling in ROM listing. 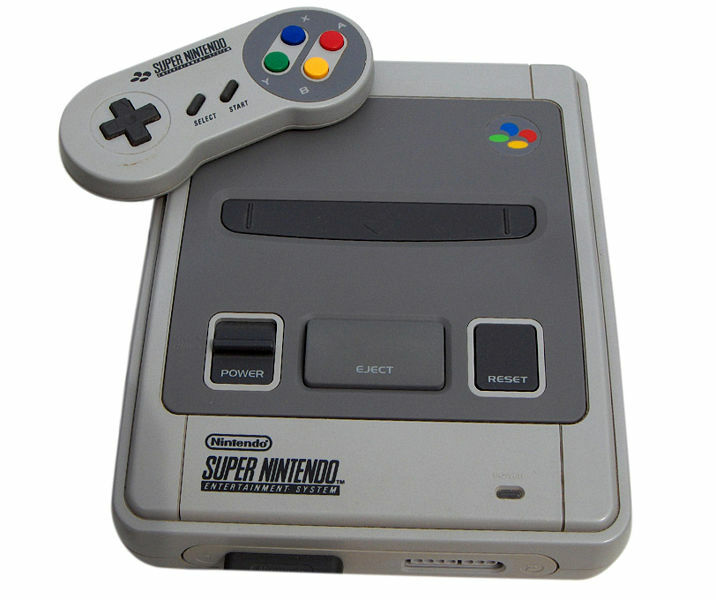 - Added: Remember last selected ROM in ROM listing even when exit from PocketSNES. - Added: New raster processing system: emulation speeded up a lot (take a look at Pugsley's Scavenger hunt laboratory stage). - Added: Lots of optimizations in graphics, CPU Assembly core and APU Assembly core. Speed improvements. - Fixed: Several bugs in graphics, sound and Assembly CPU cores. Increased stability. This is a SUPERB update, by far the greatest increase in performance I have seen in a SNES emulator, F-Zero and Mario Kart now play almost flawlessly with a good frame rate, well done, a really great update. This is a really good update, however there is still no diagonal tearing fix. This is the only emulator I use that does not have that fixed. Tremendous update! Being a huge SNES fan, I was using the previous version extensively, but this one is even greater! Tearing is annoying on snes. I love snes to death so I can't bash this emulator, but a tearing fix (even optional, experimental no-tearing) would be amazing. Another thing - not sure if it's happened to anyone but me - if I switch to the menu (+ % - together) too many times in a specific time-window, it freezes up the emulator entirely. This generally only happens when I'm trying to beat a difficult boss in a game and constantly going to the menu for load/save state options. I've not had the issue of the emu locking up when trying to go back to the menu, but I will echo your gripe on the tearing. Donkey Kong Country 3 is especially bad. Any suggestions from people on how to remove/minimalize the tearing? Thanks for this emu. But why the background have to scroll in menu? I don't like it. Is there a way to disable that? Many games don�t run and performence is bad. I will use the older release is better. Domky Kong 3 give me a black screen. Is there a chance to see it on the Caanoo ? Thanks for the update, I have the menu problem too, if I state load 20+ times within 10 minutes or so the emulator will start to slow down, I might test this out with a serial out to my computer and see if it might be a memory leak. Hmm, as I state load the %mem and VMZ goes higher and higher, the free memory at the top stays pretty much constant. I can't seem to get the emulator to lock up though. @Darkknight512: Try a having about 760+ roms in the rom list, clock at 800 Mhz, transparencies on, 44khz audio. Also, I'm talking about loading state 30-90 times within 8-10 minutes.... yes some boss battles are ridiculous (xD) - try Demon's Crest. Locks up after about 25 load states most times for me. Can you make this compatible with Caanoo as well like PicoDrive 1.80? Awesome. Yoshi's Island works in this version. when i try to play zelda a link i the past, i can't see the ground D:. i have no idea where i'm going. For those having trouble: Try launching via the LAUNCHER option (bottom middle) on the main Wiz menu instead of the WIZ GAMES option (upper left). I love this emulator, but why in the world is there no way to change the buttons? X and A need to be swapped, and Menu/Select need to be swapped for it to feel like a real SNES controller. Why is there no button config. All we get is an option to swap the action buttons which swaps A and B! That's even worse! there is a problem with some wiz's that were bought from think geek.the SNES emulator and Game gear emulators wont work.you can use the GP2X version of this emulator through 'ginge',the GP2X emulator. I want to thank mpearcy for the solution for my snes trouble, but I've hit another snag. The games are ridiculously slow, has anyone found settings to boost the framerate to a decent level? I believe this version of PSNES runs TERRIBLY on the ThinkGeek Christmas batch versions of Wiz. Maybe it's an incompatibility with GinGE (which is required to run SNES emulation on these types of Wizes). I had to revert to older versions, sadly. This emulator is ALMOST perfect. If horizontal tearing were fixed, it would be 100% perfect! i don't know the complainings, it works fullspeed with my wiz with sdl installed mmuhack and warm.ko at 780 Mhz starfox is 58-61, final fantasy III (6) fullspeed (all games with transparence on). @traytocool I had that some issues. Had to fiddle with some settings on my Caanoo. Got it to work by turning "transparencies" to "on"... I love this version used the 6.5 version which was great but had to OC a bit to get it to run smoothly... So Now I can keep it at 500MHz to get an average on 40FPS bump it up a bit I can get 60FPS constant, but 40FPS is smooth enough and not a battery muncher. How the hell do you return to the rom menu when playing I've tried everything!